Uncovering experiences within a region. businesses and attractions that make up their region. discovery and encourage self-guided exploration with curated itineraries. and seamlessly supports the visitor in-destination. Interactive rich media itineraries inspire, and give visitors the confidence to go further, and go somewhere unfamiliar. 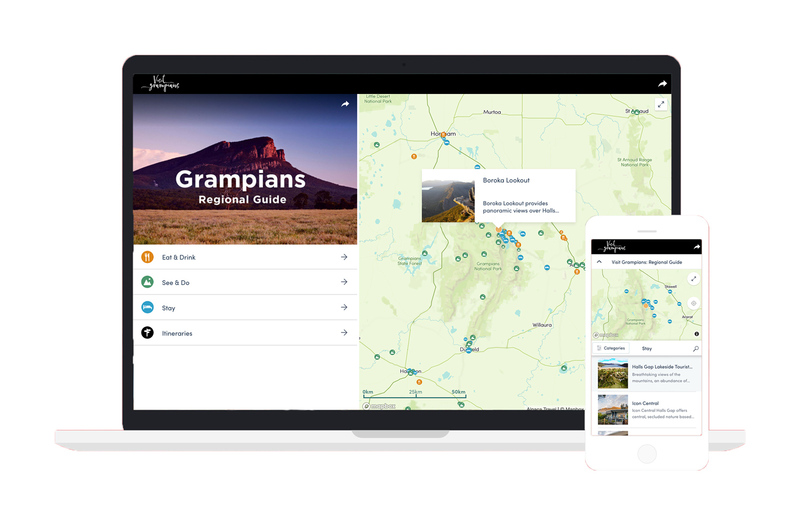 The mobile-first design provides visitors with a pocket guide for in-destination exploration.